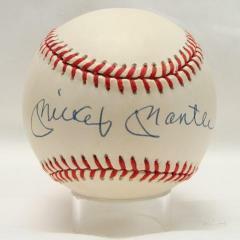 This is an official American League Baseball signed by New York Yankees great and Hall of Fame member Mickey Mantle. 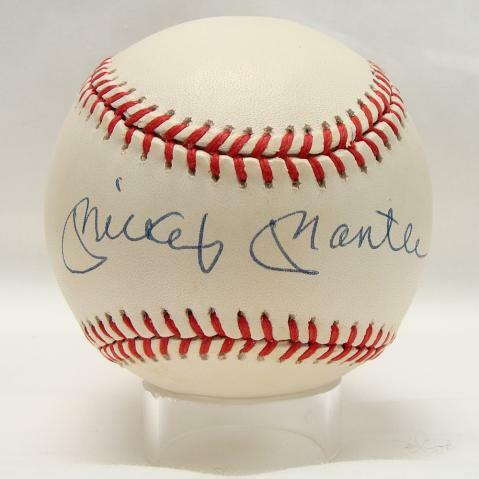 This is a rare piece of baseball history for which serious collectors as well as loyal fans of the Bronx Bombers will generate strong demand. The rare and unique value of this ball speaks for itself. ONLY six of these baseballs are available. Due to the rare nature of this ball we must charge your credit card for the full amount immediately upon taking your order. This policy ensures we reserve the ball for you. We will confirm your order by Email. 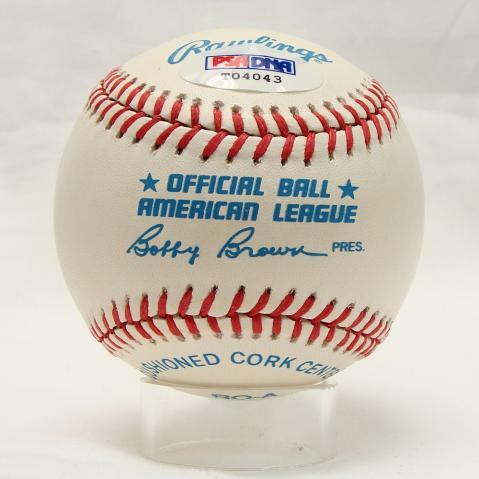 This ball is not game used. Please allow at least 2 weeks for delivery.